Miss Franklin has worked in the medical field for more than 12 years. Her experience includes, but is not limited to, Medical Billing, Accounts Payable & Receivable, Certified Nursing Assistant, and Administrative Support. 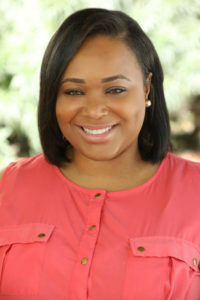 Miss Franklin is a graduate of Casa Loma College School of Nursing and Allied Health, for License Vocational Nurse. Miss Franklin has aspirations to further her education and career within the medical field, in hopes of becoming a Registered Nurse with BSN & MSN, focusing on Obstetrics and Pediatrics, as it has always been her passion to work with children. During her private time, Miss Franklin enjoys traveling, relaxing alongside a tropical beach, spending quality time with family & friends, and is always up for an adventure. She believes in living life the fullest.